Tintri VMstore is designed from the ground up for virtualized environments and the cloud. Enterprises and service providers have deployed hundreds of thousands of VMs on Tintri storage systems, running large scale private cloud deployments, business critical databases, enterprise applications and VDI environments for desktops and mobile devices. The advantages of VM aware storage apply as much or more to OpenStack deployments as they do to traditional virtualization. 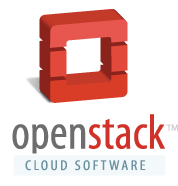 With OpenStack, there are multiple tenants and users, each creating VMs, volumes, and networks in a pool of cloud capacity. This is different from the more controlled environment of traditional virtualization. In a dynamic OpenStack environment, it is important to have visibility into the underlying infrastructure and this is what Tintri provides. Tintri VMstores can be used for OpenStack storage today and with a future TintriOS release, Tintri is enabling VM awareness by adding OpenStack as a hypervisor manager. As with the integration of other hypervisor managers, the next Tintri VMstore software release will integrate tightly with the OpenStack project APIs (Cinder, Nova, and Keystone) to enable VM and volume visibility. Visibility in this release will include VM and Cinder volume statistics and latency breakdowns. Customers will also be able to agnostically share resources between OpenStack and other hypervisor managers: OpenStack will run on the same VMstore alongside VMware, RHEV, or HyperV. Tintri provides the best storage solution for Cinder storage. No other storage vendor can offer Tintri's level of VM and Cinder volume visibility. This makes a dramatic difference when operating or troubleshooting an OpenStack deployment. Tintri automatically eliminates the noisy neighbor problem at the OpenStack VM and Cinder volume level. This prevents OpenStack tenants from impacting each other's work. This can be done automatically under the covers or the admin also has the option of setting granular QoS policies per VM. Enabling OpenStack on a Tintri VMstore is as simple as configuring the OpenStack Keystone endpoint and credentials and updating the Cinder configuration file. Tintri is a Corporate Sponsor of the OpenStack Foundation. Tintri offers OpenStack support today. In a future release, Tintri will enable VM awareness with OpenStack by adding OpenStack as a hypervisor manager. Tintri participates in the OpenStack community, and is developing a Cinder driver optimized for Tintri capabilities. Tintri is a great fit for Cinder storage. It not only offers performance but also VM and Cinder volume visibility that no other storage platform can match. Tintri is built to scale out. Just add another VMstore and update Cinder configuration. Five things you won't miss when using Tintri for OpenStack instead of other storage platforms. Minimal support for OpenStack storage without cloud features such as QoS, multitenancy, and robust statistics for chargeback and showback at the VM level. Download the Tintri for OpenStack Deployments Datasheet (PDF).